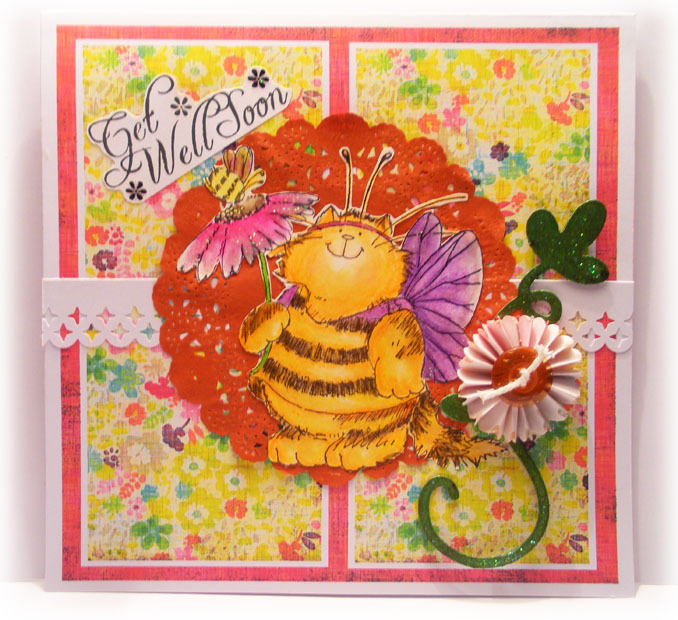 Penny Black cat and bug stamp, Basic Grey Sweet Thread digital paper, doily, Spellbinder flourish die, button, colour pencils, glitter glue. Really Stunning card,love the image n colours are fab. 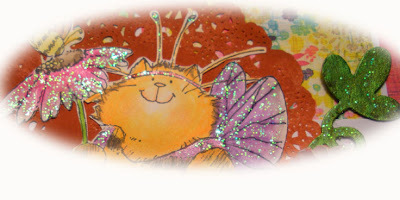 A lovely cute card, enough to cheer anyone up. Fab fun bright & cheery card. Thanks for playing along with us at Charisma with us this week. Thanx for joining the Kartenallerlei Challenge! Very sweet! Thanks so much for joining The Beary Scrap's "Your Beary Best" challenge. Good luck! Lovely bright and cheerful card. Thanks for joining in at the Cuttlebug Spot. 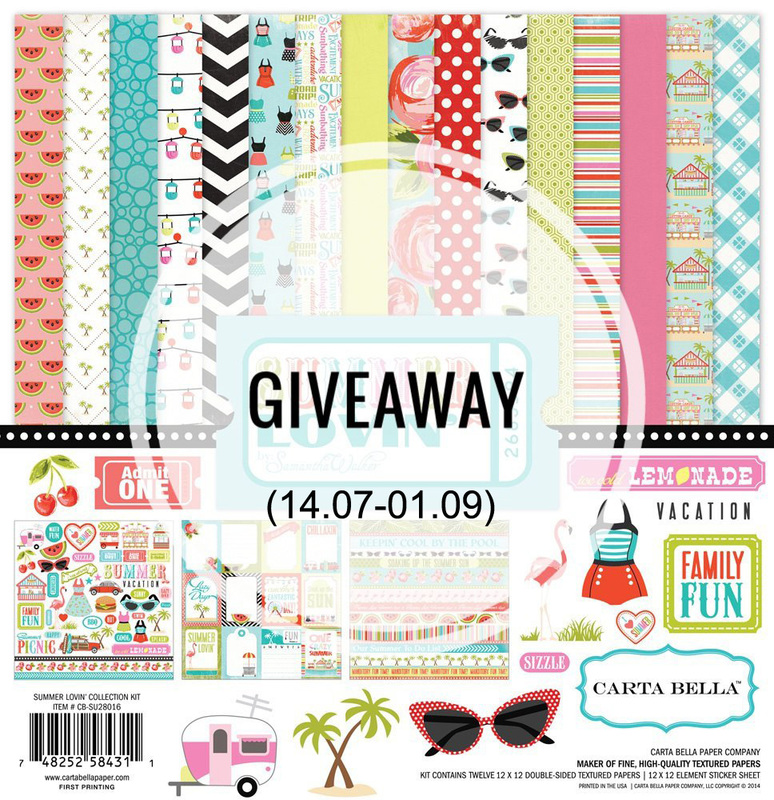 Great card, Thanks for entering our Beary Best Challenge at The Beary Scrap. Very cute, I love the four squares for the background. Thanks for joining our challenge, we appreciate your support and good luck!